There were a lot of symbols in use during the Great Depression because there were so many tramps and beggars looking for a day’s work, a hot meal, or a place to sleep. These hoboglyphs were usually only known to other hobos, signs that many “regular” folk would have had no clue about. Most people felt the pinch of the Great Depression in ways big and small. 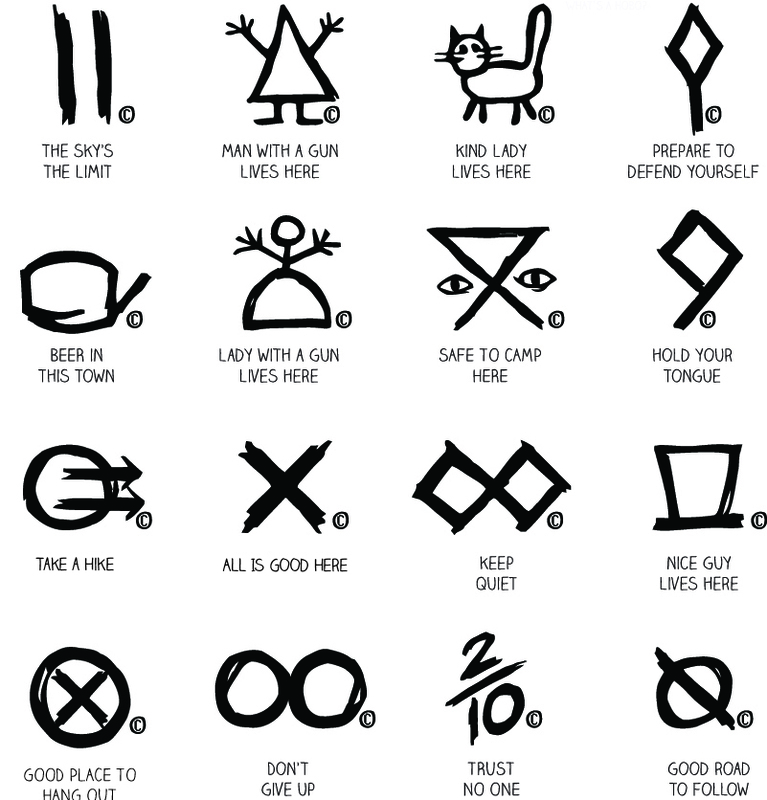 However, most people did not lead itinerant lives on foot and so did not know what these symbols were all about. 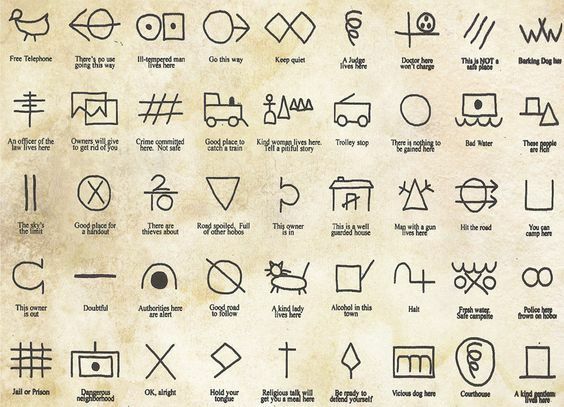 Find out what these old symbols actually mean and where they came from! In England around the turn of the century a number of symbols were in place, used not only by tramps, but also by traveling salesmen. These symbols were employed to mark off whether homes and establishments were generous or if they would just as soon call the police as spare a little food. Such information was invaluable to someone who spent most of their time unhoused and looking for food or work. 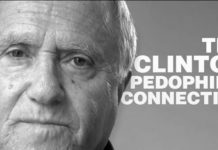 Around the same time Boy Scouts in the U.S. were learning of such signs as a way to communicate with each other, keep away from danger, or send help. 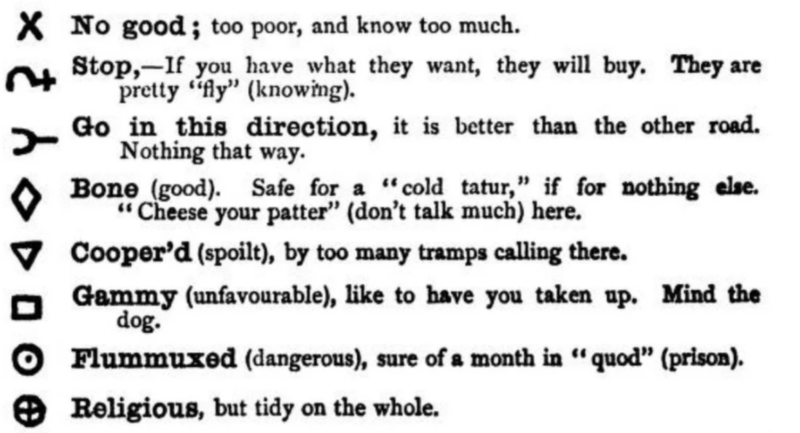 A Scout’s guide from the era also makes mention of hobos and tramps using some of the same signs, showing that the signs were well established in the U.S. by that point. In the U.S. following the Civil War the number of men who traveled in order to make ends meet increased drastically. Following railroad jobs after the crash of 1873, many men began to later jump trains as a means to travel. No matter how you sliced it, hobos were linked to trains. Hobos self-identified as those who were homeless but willing to work, and judged tramps as those who traveled but were unwilling to work, and bums as those who neither worked nor traveled. After the Stock Market Crash of 1929 many men were instantly out of work, leading to a culture of itinerant workers who moved from place to place. In 1932 the song “Brother, Can You Spare a Dime?” became one of the anthems of the decade as many social welfare programs had yet to be implemented. Worse yet were those who had no work and no food at all. Helping out those who were in need became a regular occurrence for many households, as wandering hobos or workers were bound to show up at the door in search of work, a place to sleep, or anything to eat. 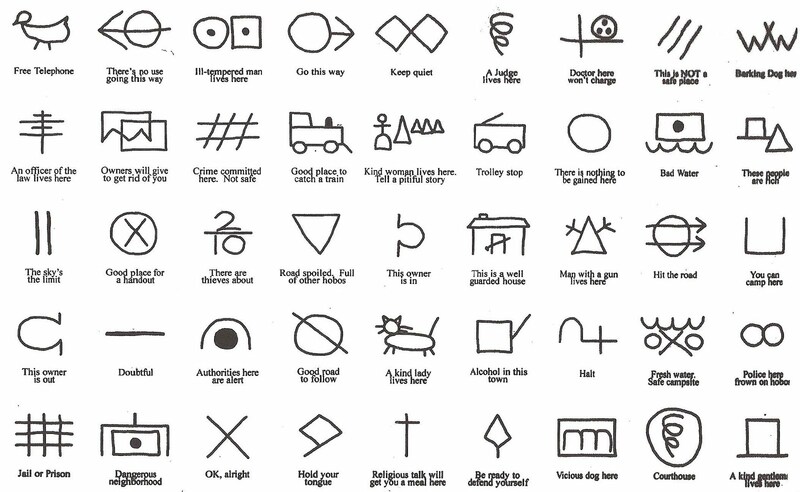 The Hobo Code helped travelers decipher what was in store for them at specific locations, the signs drawn in chalk or pencil on fences, walls, or doorways, while most of the population was completely unaware of the what the symbols meant (or indeed of their very existence). Symbols for “a kind woman lives here” or “handout here” became extremely important to the traveling homeless during such lean times. It’s also interesting that many of the symbols used in Victorian England were still being used in the U.S. during the Great Depression.